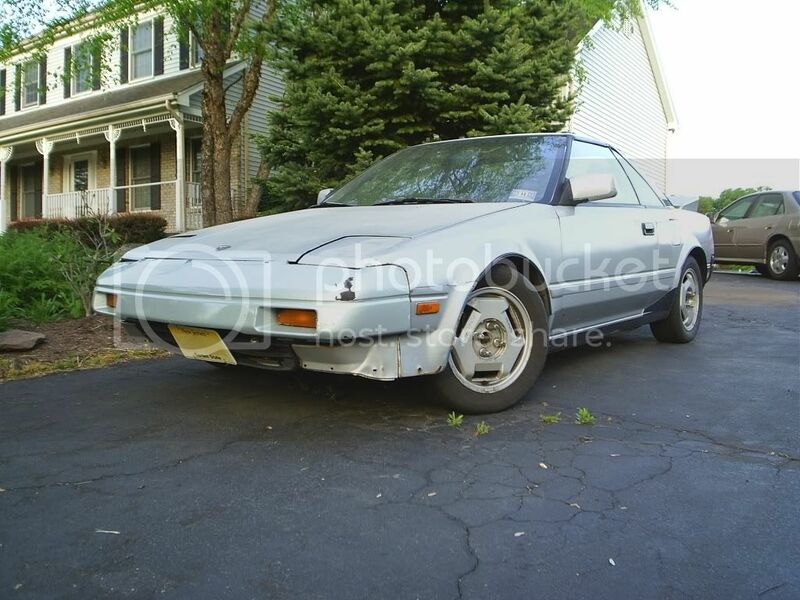 It's not much to look at, but it's mine: a 1988 Toyota MR2. In the MR2 community, it's called a California stripper model because it has the lowest trim level offered in California: manual everything, naturally aspirated, sunroof, and A/C. It's severely underpowered compared to modern cars (<90hp to the wheels), but light-weight, mid-engined cars are fun as heck to drive. Only modifications are a lightened flywheel and TRD springs. Really wanted the t-top supercharged version, but I couldn't afford it at the time and can't seem to sell this one. I have a Lotus dealership nearby, which is probably what influenced me to get a mid-engined car. They sell everything from the Cooper T59 to the Noble M12. I like to stop by every now and then to check out the amazing cars they have in their inventory.